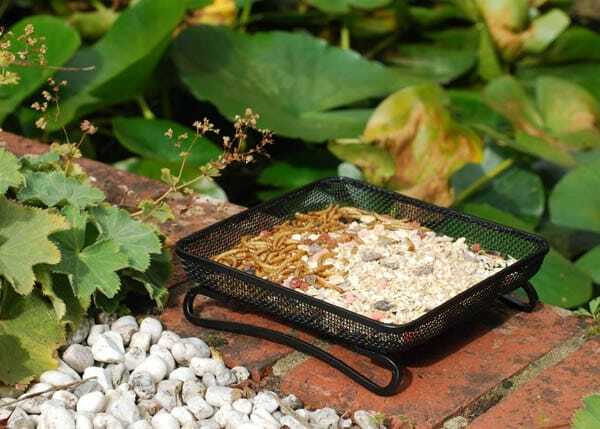 Lay on a spread to bring wild birds flocking with this metal mesh feeding tray. 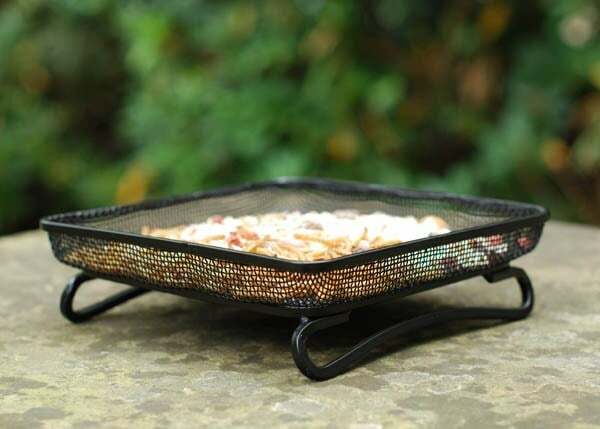 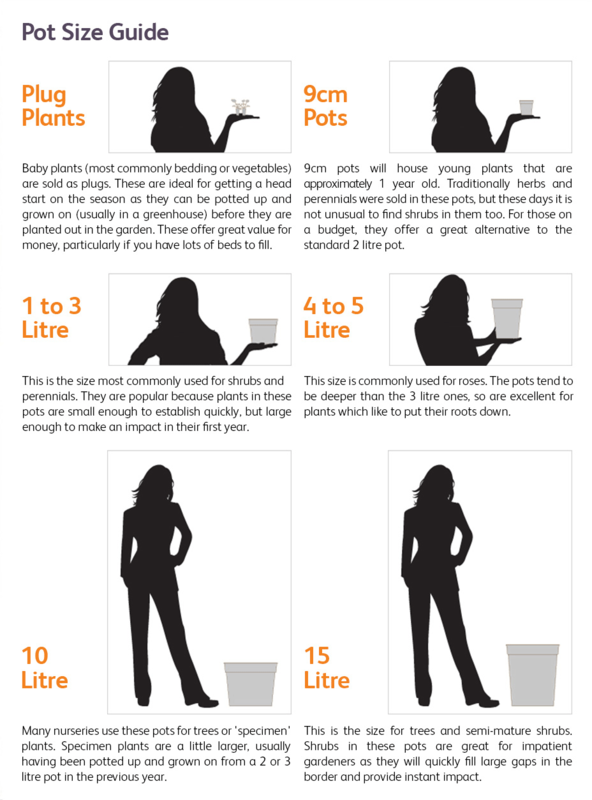 Fill it with titbits, place on the patio or lawn and you’ll have company in no time! 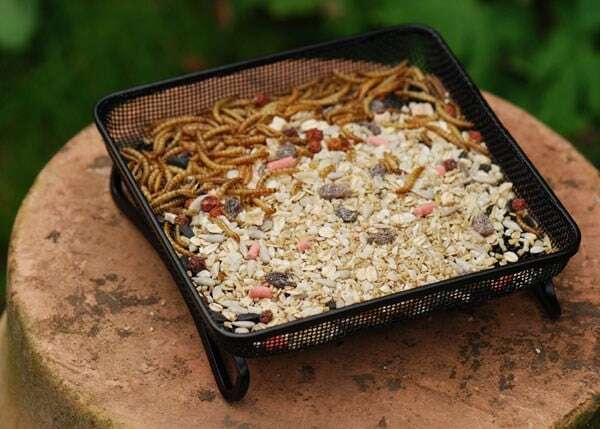 Perfect for ground-feeding birds including robins, blackbirds, starlings and thrushes, as well as hedgehogs and other small animals. 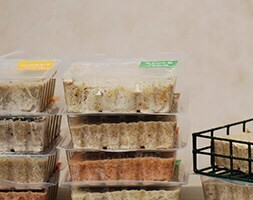 Made from tough coated steel with a raised tray and free draining micro-mesh to keep food fresh and dry. 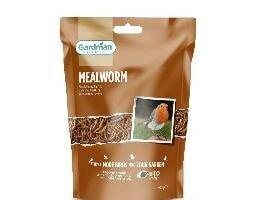 Suitable for ground mix, suet nibbles, mealworms and more.